Let’s face it: very few people actually take the GMAT unless they’re applying to business schools that require it. The GMAT is notoriously difficult, and no other type of grad school uses it for admissions practices. If you are filling out b-school apps, you already have a pretty compelling reason to take the test! But if you’re pulling out your hair wondering why you’re spending so much time on your GMAT prep, take heart: the work you’re doing now will benefit you far into the future. In fact, there are some pretty compelling reasons to take the GMAT other than just getting into business school. The GMAT polishes your communications skills. Think about this: every single question on the GMAT exam is directly related to the business world. This can confuse and frustrate students working on the verbal reasoning sections of the test. While a lot of the scenarios you’re reading about are about business, they may be unrelated to any business scenario you’ll ever face (but then again, they may be…). On the other hand, what studying for GMAT verbal reasoning helps you to do is to improve your communication. It doesn’t do this by inundating you with flowery vocabulary you need to learn; instead, GMAT verbal is testing how efficiently you communicate: how well do you absorb information? How well can you analyze an argument? And because this is what the section tests, you’ll see your skills in these areas improving as you continue your GMAT practice. This will pay big dividends, not only during your MBA, but as you go on in the business world, as well. The GMAT prepares you to work with both details and patterns. In other words, prepping for the GMAT trains your mind to work on both small and large scales. As you study for GMAT quant, you’ll find that you need to sharpen your skills in picking out relevant details without getting overwhelmed by extraneous information. You’ll get better at organizing information and making precise distinctions. If you’re studying well, you’ll also improve your skills in pattern recognition. Why are these valuable skills? Think about a day in the life of the average manager. He or she encounters huge amounts of information and has to sort through it to pick out what’s germane to the issue or problem at hand. The ability to identify patterns is key to recognizing progress or lack thereof; and being able to work with information on both small and large scales is vital. The GMAT trains you to ask the right questions. The LSAT. The MCAT. The GRE. Not a single one of them has Data Sufficiency questions. Yet the GMAC (the test-makers of the GMAT) obviously find these questions important. Why is that? Because managers are constantly evaluating what information they need to answer a question and what information they have. The GMAT prepares you for high-stakes experiences. At the end of the day, taking GMAT practice tests and preparing for the exam in effect prepares you for the business world—not just in the content of its questions, but also in their form. But perhaps the most valuable aspect of the exam is that it is, in itself, a high-stakes experience. You know, the kind that managers deal with all the time: experiences where a lot rides on your performance. It may be stressful now, but use that stress as a springboard to the world of business. By acquiring these skills during your GMAT study, you’ll be far better prepared for the working world on the other side of your MBA. 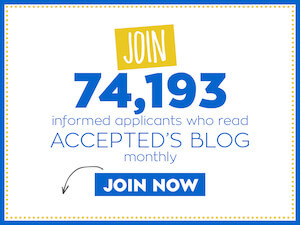 Rachel Kapelke-Dale blogs about graduate school admissions for Magoosh. She has a BA from Brown University, and did her own graduate work at the Université de Paris VII (Master Recherche) and University College London (PhD). She has taught and written about test preparation and admissions practices for eight years.